Going from a replica exotic car maker to actually building the one-time world's fastest supercars is absolutely incredible. 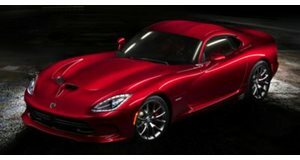 The American company known as SSC North America (formerly Shelby SuperCars) has a different strategy than other boutique manufacturers when it comes to building their cars. The chief, and very nearly only, aim of their cars is speed, and SSC has an informal sort of rivalry with Bugatti to see who can build the world&apos;s fastest production car. At the moment, the title officially belongs to Bugatti, but the fact that a small company like SSC can even compete at all with one of the world&apos;s largest car companies is just astonishing. SSC&apos;s name can be a bit confusing, although this is not really their fault. The company is named for its founder, Jerod Shelby. He is not in any way related to the legendary Carroll Shelby, but you&apos;d be forgiven for thinking that there was a connection. Naming your car company after yourself is a perfectly normal thing to do, but in this case it earned them the ire of Carroll Shelby International, and SSC changed their name to deemphasize the "Shelby" part. Jerod Shelby got his start building kit cars, replicas of the Ferrari 355 made out of Pontiac Fiero donor cars. This is not a particularly glamorous pursuit, the cover band of automobile manufacturing, but the spaceframe he designed originally for a Lamborghini Diablo replica ended up being adapted for use in the first SSC-badged car. This car was the Aero, and as the name implies, aerodynamics were of paramount importance in its design. In addition to using the tweaked faux-Lambo frame, the prototype used a twin-turbo Corvette C5R engine and a transmission out of a Dodge Viper. It produced 787 horsepower and was able to hit 236mph. That&apos;s one hell of a good number, and not the sort of thing which most people can turn out from their garage. This couldn&apos;t have been achieved without attention being paid to aerodynamics. You still need horsepower to go fast, but the more slippery your car is, the more it can do with that horsepower. The Aero is perhaps not the most sophisticated supercar in the world, lacking any form of traction control or even ABS. This is officially said to be because SSC wanted it to be a "pure driver&apos;s car", although it is also very possible that the weight saving benefits of a stripped-down car are a great help in its achieving such terrific speeds. It does look pretty wild though, and there are McLaren F1-style butterfly doors for the extra wow factor. SSC does seem to understand that, whatever else you might leave out of your hyper car, you can&apos;t leave out the outrageousness. The Aero evolved into the Ultimate Aero, pushing horsepower up over 1,000, and from there into the Ultimate Aero TT, where horsepower would eventually reach 1,287. It was this version of the car which SSC would use to capture the fastest production car title from Bugatti in 2007. Their first attempt to do so failed, but a few tweaks and a just a few months later and they had grabbed not only the title of fastest production car, but Guinness also threw in the title of most powerful emissions-legal production car. It would take Bugatti more than two and a half years to break this record with the Veyron Super Sport, and SSC has yet to recapture it. But that doesn&apos;t mean they aren&apos;t looking to do so. Their new car, the Tuatara, is said to be capable of hitting 275mph, although it has yet to attempt the run needed to break the record. The car is relentlessly aerodynamic, and has the look of a space ship, both inside and out. Even without officially holding the title, SSC sold ten of them at the Dubai International Motor Show back in December 2011. That wouldn&apos;t be a huge number for the Camry, but when your only model costs $1.3 million, ten sales in a weekend is a pretty huge deal. The Tuatara uses a DOHC twin-turbo 6.9-liter V8, which produces 1,350 horsepower on 91-octaine pump gas. It is incredibly light, coming in at just 2,750lbs. This is the result of extensive use of carbon fiber, and even the wheels are made out of the stuff. It has to be said that comparing the Tuatara to the Veyron is a bit of an apples and oranges scenario. The SSC lacks the Bugatti&apos;s sophistication, luxurious interior and revolutionary engine technology. As was said before, SSC builds cars exclusively for the purpose of going fast, whereas the Bugatti is somewhat more versatile. That said, the Tuatara is a massive achievement, and considering what the difference must have been in budgets for developing the two cars, the Tuatara is all the more impressive. There is something to be said for this kind of single-minded pursuit of speed, and SSC must be commended for it. The Tuatara may yet prove to be faster than the Veyron Super Sport, and if it is, it will be the only choice for those who absolutely, positively must have the fastest car in the world.